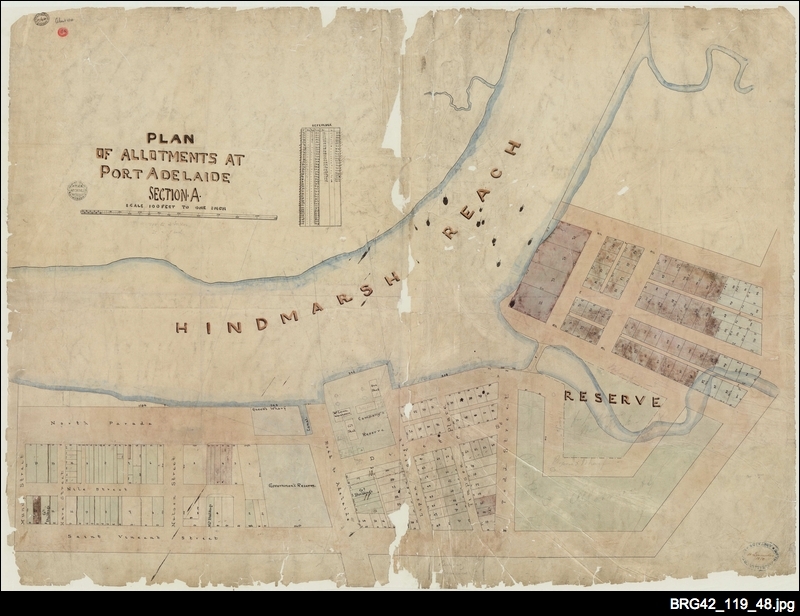 Maps relate to the properties held by the South Australian Company, during the Foundation era 1800-1851. 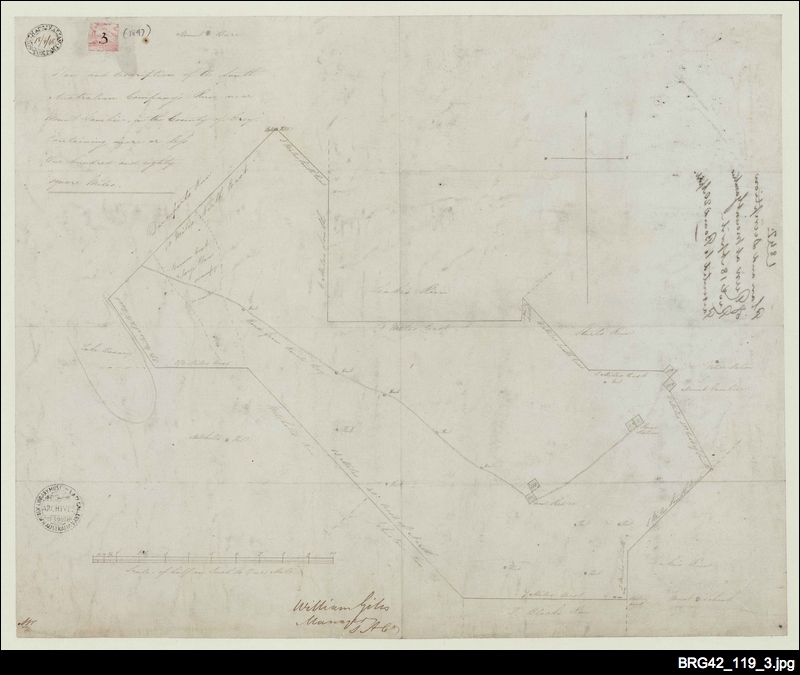 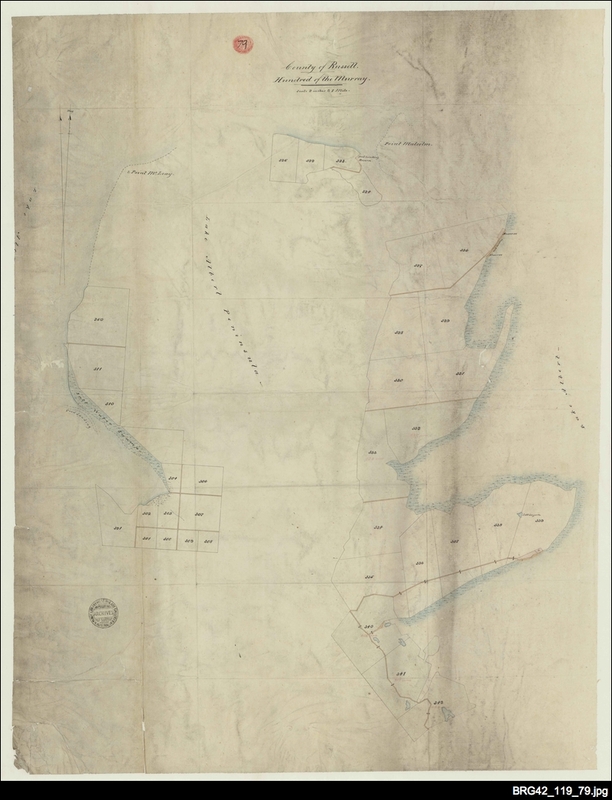 The South Australian Company maps (BRG 42/119) are part of the business records of the South Australian Company, comprising minutes, correspondence, the original 1836 Deed of Settlement and other copies, deeds, share documentation, reports and other papers of the London Office of the company, together with those of the South Australian office including minutes, correspondence, reports, registers of land sales, papers re whaling and fishing, pastoral activities, imports and exports, farming, construction, financial records, administrative matters, legal documents, maps, plans, photographs and newspaper cuttings. 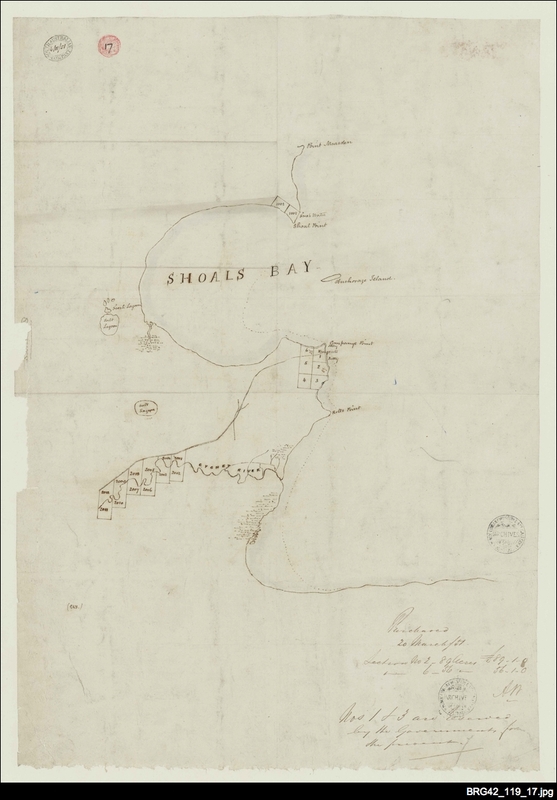 Also in the group is a collection of 8 passenger lists of ships with names of Company emigrants who arrived in the colony between 1837 and 1839. 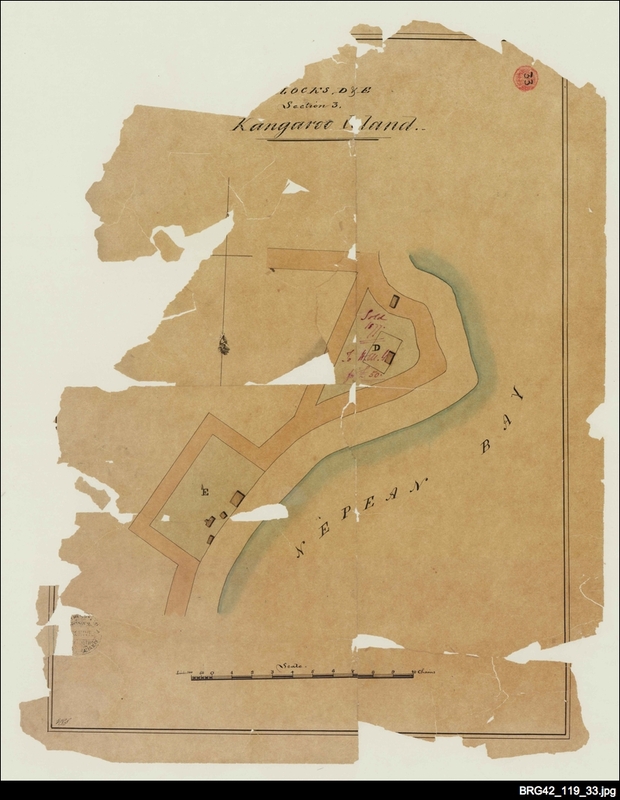 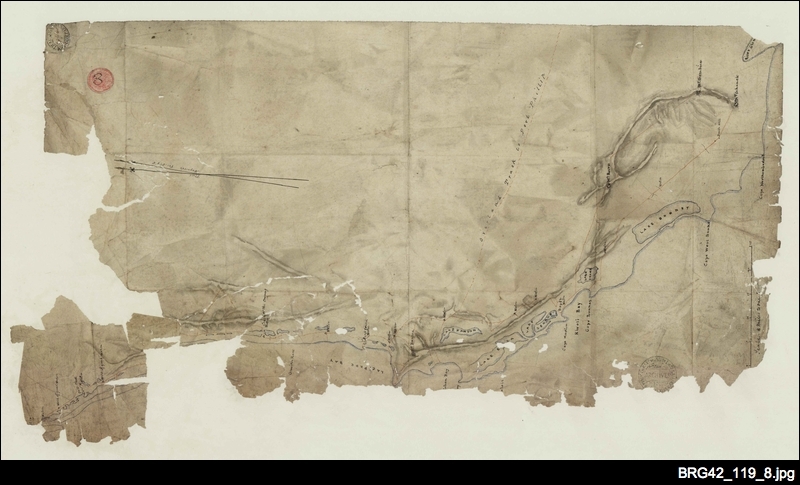 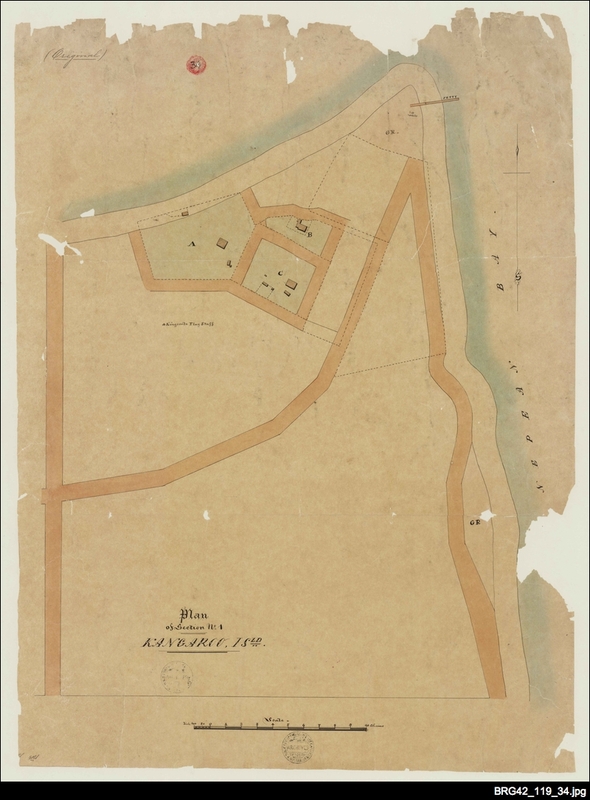 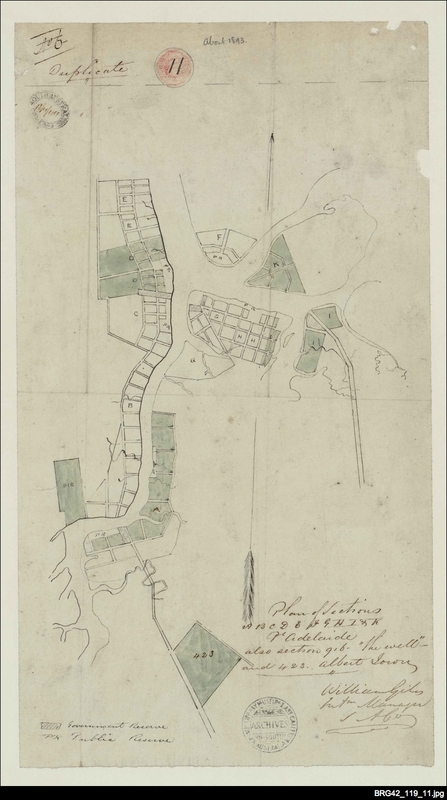 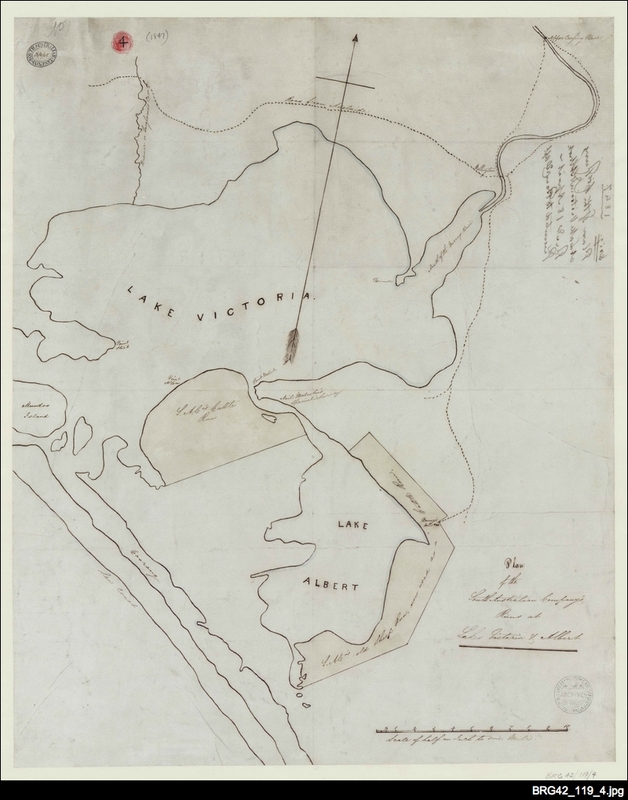 The maps are of particular interest as they give an insight into and a detailed description of South Australian land in the pre-settlement era. 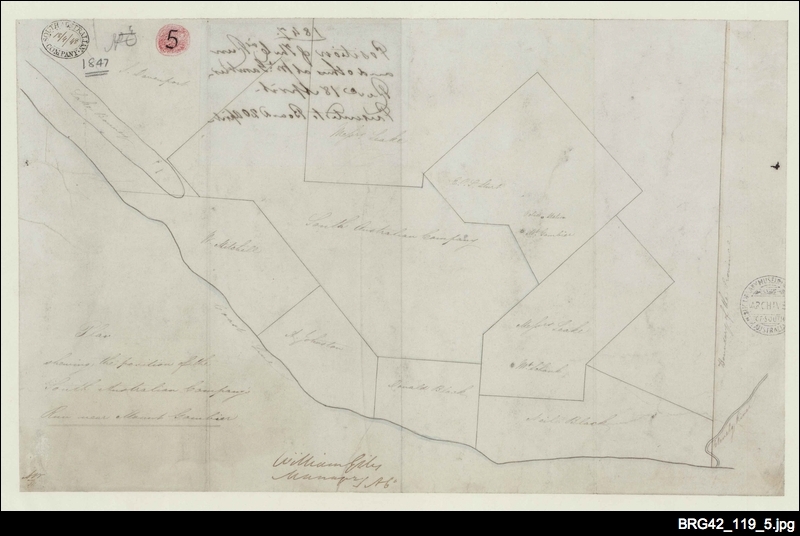 It is also very interseting to see how the names of places have changes over time and in some instances, stayed the same. 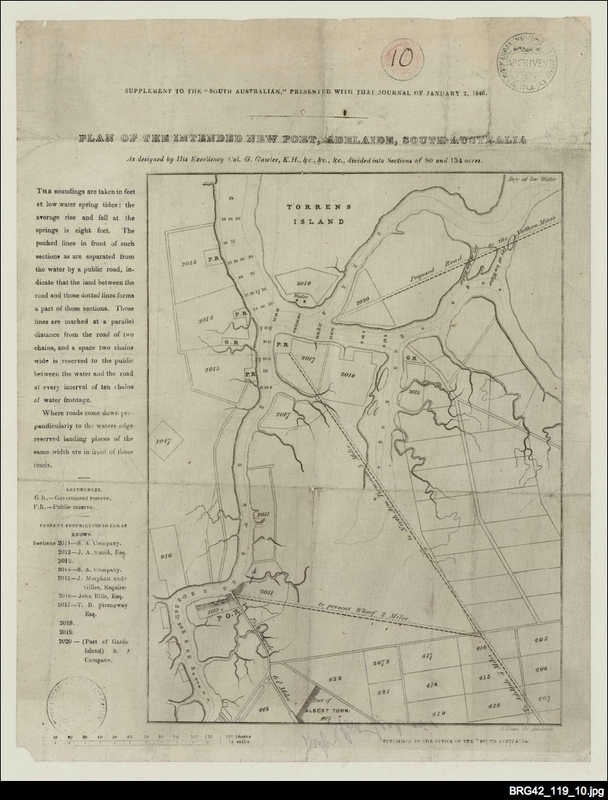 There are many references to bodies of water, including rivers and coastlines which may now appear differently on modern maps.